This luxury hotel in Bexleyheath is within easy reach of the area’s best attractions such as the O2 Arena, Bluewater and many more. 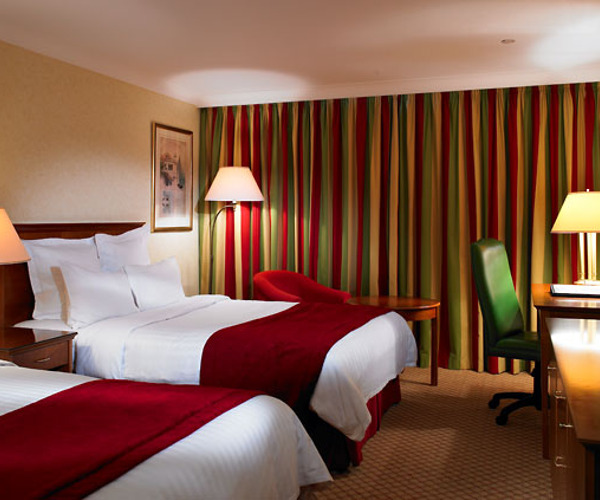 The hotel is located next to the A2 and M25 and is only a short drive to Dartford, Ebbsfleet and Stratford. It’s the ideal place to enjoy a relaxing break as its popular spa offers a range of soothing treatments and its leisure club and pool provide a great place to unwind after a long day. The hotel has 142 air-conditioned rooms and nine meeting rooms making it the ideal place for a business conference. There are two restaurants for guests to enjoy on site as well as plenty more options available in the local area. The relaxing spa offers a variety of treatments for both residents and non-residents with booking required for both. The spa offers massages using Decleor Aroma as well as hot stones massages and a soothing body polish. You can pamper yourself with its beauty treatments such as a Decleor facial or a luxury manicure or pedicure. The new sauna provides space for eight people and is a relaxing experience to enjoy after a day’s shopping. 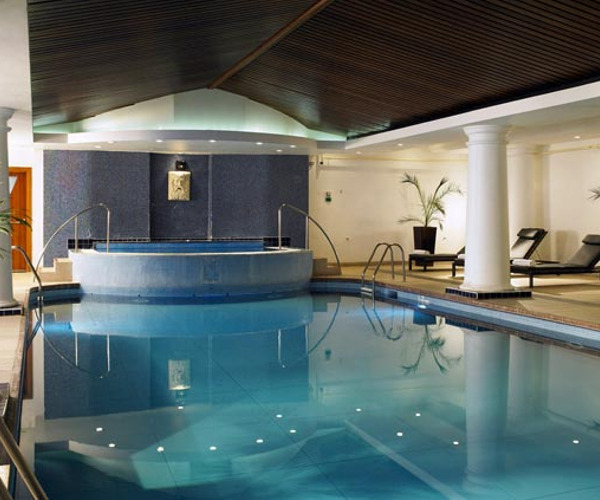 Bexleyheath Hotel has a fantastically equipped leisure club which offers cardiovascular equipment and free weights as well as a 13 metre indoor heated pool and a steam room. There is also a children’s heated indoor pool. The leisure club includes the luxury spa where you can get pampered before a big night out or relax after a long day of exploring or working. There are a variety of treatments for both men and women meaning that everyone can enjoy being pampered. There are 142 stunning hotel rooms in the property each with a deluxe en-suite bathroom. Each rooms boasts high speed internet access, a spacious working area and pay per view films. Guests can enjoy 24hour room service as well as complimentary use of the health club, pool, steam rooms and gym during their stay. The hotel’s two restaurants offer a variety of cuisine suited to everyone’s tastes. Copper boasts a British menu which sources its ingredients from some of the UK’s most environmentally aware suppliers. It is open for breakfast, lunch and dinner. Planters Bar has an exciting international menu and while it is open for lunch and dinner it also does a splendid afternoon tea each day of the week.